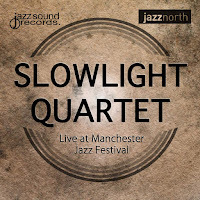 Live at Manchester Jazz Festival is the Slowlight Quartet’s follow-up to the five track EP In Flight. The ‘live’ element is particularly welcome as the band is best heard performing in front of an audience. Composer-in-chief Paul Loraine wrote six of the seven tracks, the seventh is from the pen of saxophonist Tom Quilliam. The Slowlight sound is that of Paul Loraine’s tunes evolving from considered piano, saxophone or bass intros, developing the group sound. Tom Quilliam’s scorching tenor emerges on several numbers – notably Walking Spanish, This Time and Shifting Ground – burning brightly, then dimmed, subservient to the group dynamic. This is expertly executed stuff; Ian Paterson’s bass playing the foundation, as is Jonathan Marriott (drums) whose driving sticks-work on Shifting Ground sustains a level of excitement appreciated by the 2014 Manchester Jazz Festival crowd. Quilliam’s This Time hears the composer go through the gears; on this and the remaining six tracks, Paul Loraine’s reassuring presence keeps a tight reign on his band mates, thus retaining the Slowlight Quartet’s hugely impressive and instantly identifiable sound. 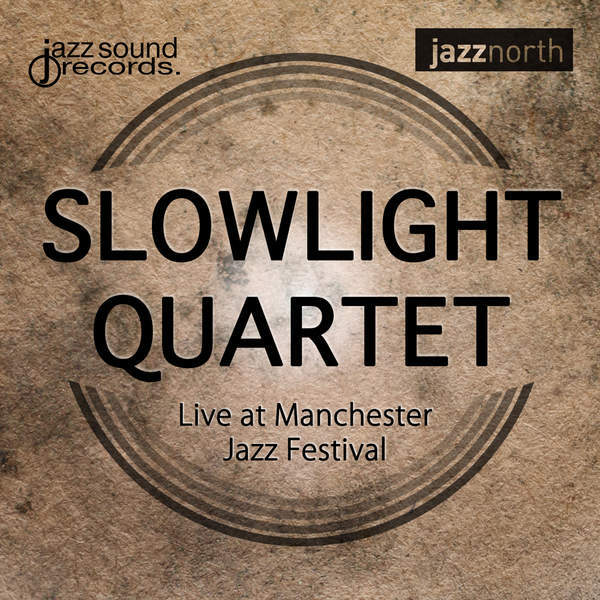 The Slowlight Quartet – Live at Manchester Jazz Festival (Jazz Sound Records Cat. No. JSR002) is available now.